Kalymnos is known as the Sponge Divers' Island. 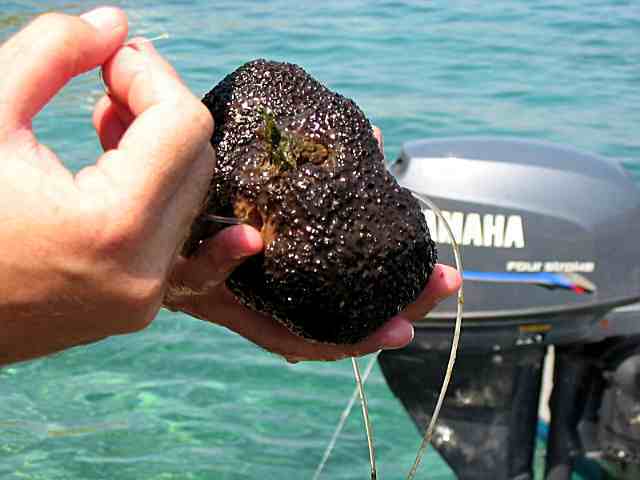 The main activity of Kalymnian population, for hundreds of years now, has been the diving for sponges, the sponge processing and the sponge trading. The appearance of the synthetic sponge. Fishery restrictions due to nationalization of sea resources by the Mediterranean countries. Almost total destroy by epidemic in 1986, 2002 and 2013. 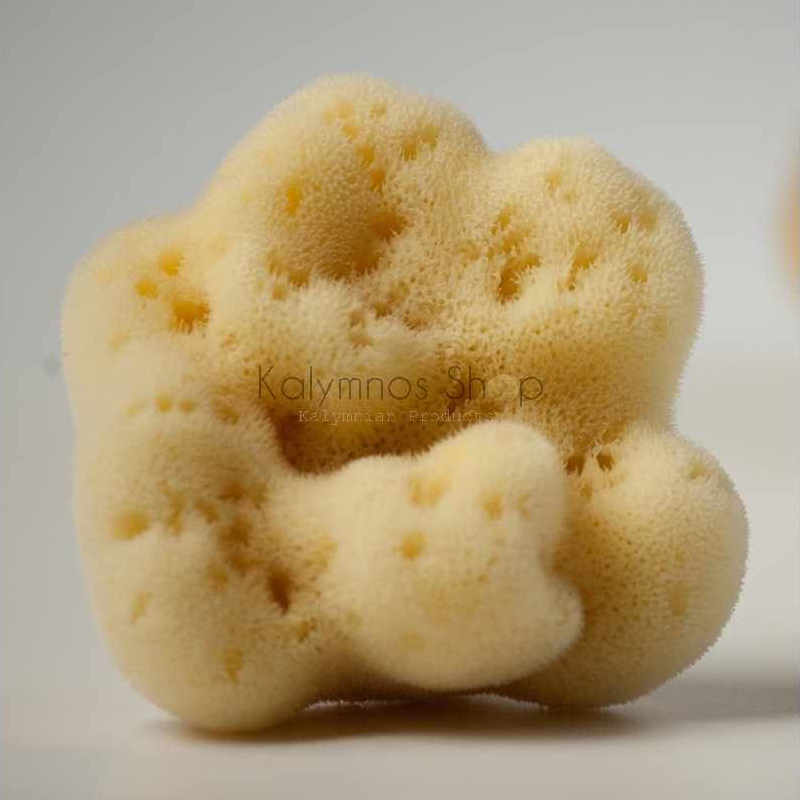 While it is not any more our main activity, Kalymnos is the only Greek Island with active sponge divers and remains a worldwide center of sponge processing and trading. Starting from Kalymnos Island with 6 -17 meters boats, the sponge diving was done in the whole Mediterranean Sea. Early 70ties, most of the African Mediterranean countries nationalized their marine resources and suspended sponge diving for Greek divers. 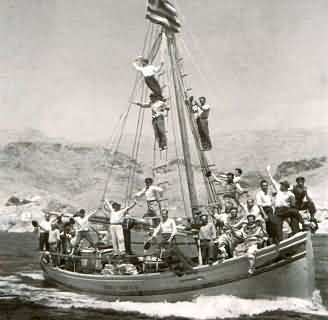 Since then, the sponge diving with Kalymnian boats takes place only in Greek seas, while individual divers go for diving in Libya and America under local companies. 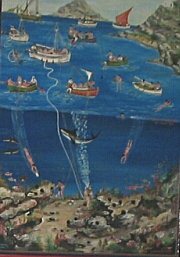 In various periods, Kalymnian sponge divers moved in countries with more rich sea beds and created colonies. The most important of them is Darwin Australia and Tarpon Springs Florida USA, including Tampa and Key West, while smaller groups moved in France, Japan and Philippines. Sponge fishery is done with a variety of ways. But the most effective method is diving. In sponge diving all known methods were utilised along with the diving equipment progress. In the beginning it was free diving with "Skandalopetra" or "revera" and then "helmet", "fernez", "bottles" and "nargile". In our days the diving methods used by sponge divers are "revera" (free diving) and "nargile" (continuous support of air from a compressor on the boat). It needs a lot of experience, knowledge and manual work to convert the black - hard - and full of stones sponge, to the soft yellow sponge suitable even for children's skin. This know-how is exclusively transferred within sponge traders family from generation to generation. Kalymnian traders controlled more than 70% of sponge commerce worldwide. Back in 1900, the most important trader was Nikolas Vouvalis who had his base on Kalymnos Island and London England, with branches in Cuba, Florida USA, Nassau Bahamas and the Greek islands Aegina, Simi and Chalki. Kalymnian traders still process and commerce local production sponges along with imported sponges from other Mediterranean countries, USA and Cuba.